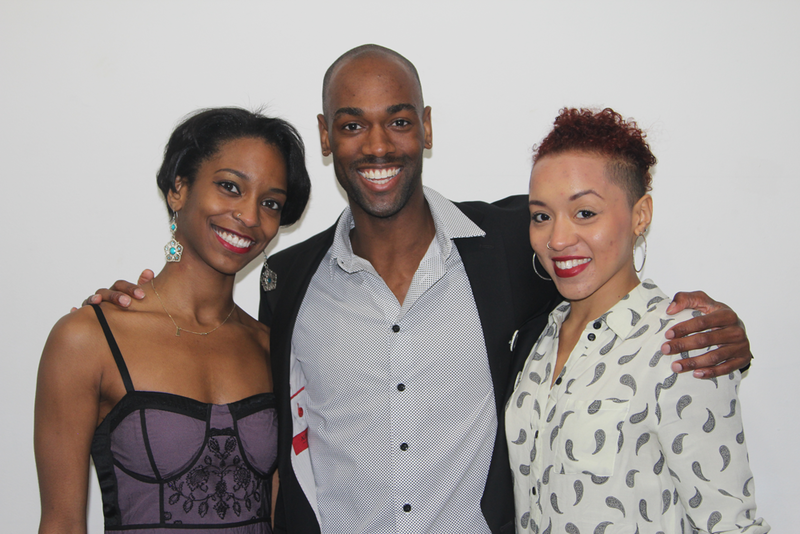 On March 19th, 2015 ZEST COLLECTIVE Contemporary Performance Art presented a multidisciplinary program at White Box Art Center as part of Harlem Arts Festival’s Young Patrons’ Session. Dance Mogul Magazine went behind the scenes to capture the company’s historic premiere at the Bowery’s White Box Art Center. DMM also sat down with the company’s founder and artistic director Gentry Isaiah George to talk about the company’s collaboration with projection artist Andrew Kaminski and much more. DMM: What is the Harlem Arts Festival? How did ZEST COLLECTIVE Contemporary Performance Art get invited to Harlem Arts Festival’s Young Patrons’ Session? The Harlem Arts Festival (HAF) celebrates the cultural landscape and the artistic community in Harlem today. 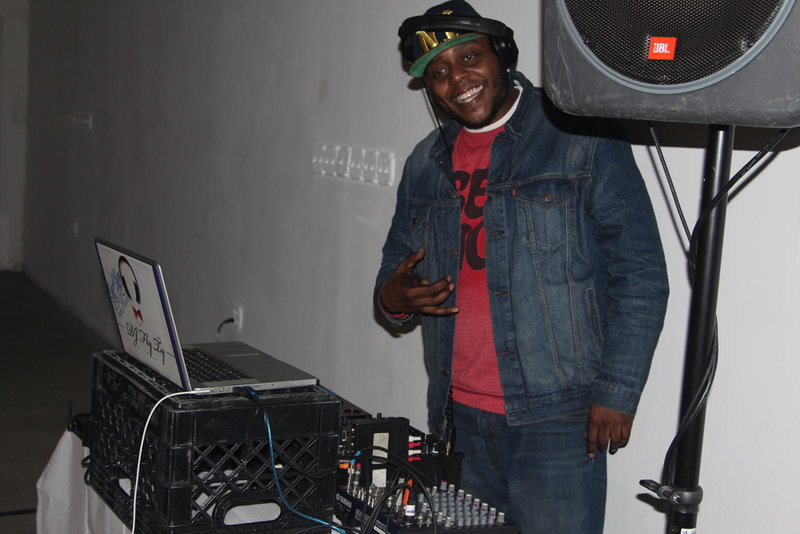 Last year ZEST had it’s first live performance at Madiba Harlem for HAF’s fundraising gala. HAF’s Young Patrons’ Session was created this year to gain support from those under the age of 35 who share a personal mission with the organization and a commitment to its success and collaborative artists. Financial support enables organizations to continue creating innovative programming and provide opportunities for its artists as well as outreach performances for the community. I am thrilled to have been invited to this inaugural celebration. It is so important that we are all involved when it comes to shaping our community and ensuring the increased love of Art and creation. DMM: Tell us more about projection artist Andrew Kaminkski and your collaborations? Andrew Kaminski is ZEST COLLECTIVE’s Projection Director. We met at HAF’s fundraising gala last year. His images mimic artificial and organic forms, revealing a sense of play between the human body and how it interacts with moving images. Kaminski’s current body of work focuses on the interactivity between trained dancers and newly developed live video editing software. The goal of our work together is to create a synchronicity between sound, sight, and live dance. Our performances emphasize the tension of mindful movement and manipulated light. 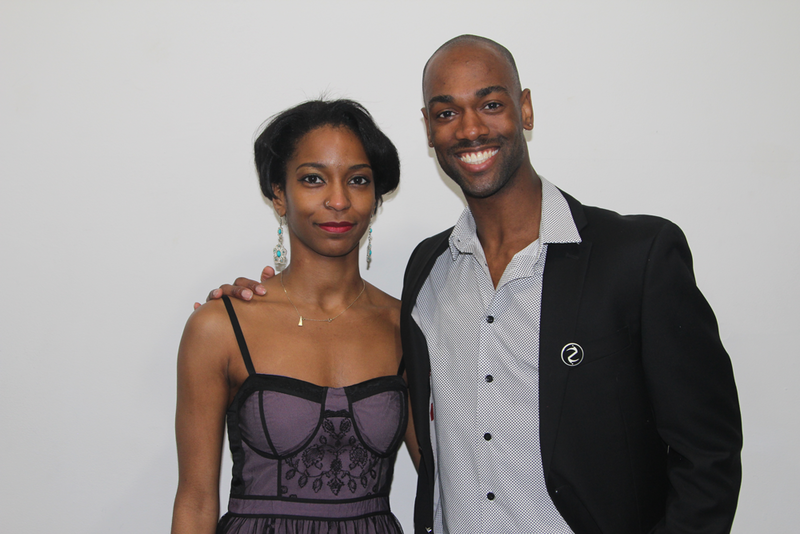 ZEST first performed with Kaminski on July 27th, 2014 at Harlem Arts Festival’s Opening Night Celebration at Madiba Mist Cinemas. 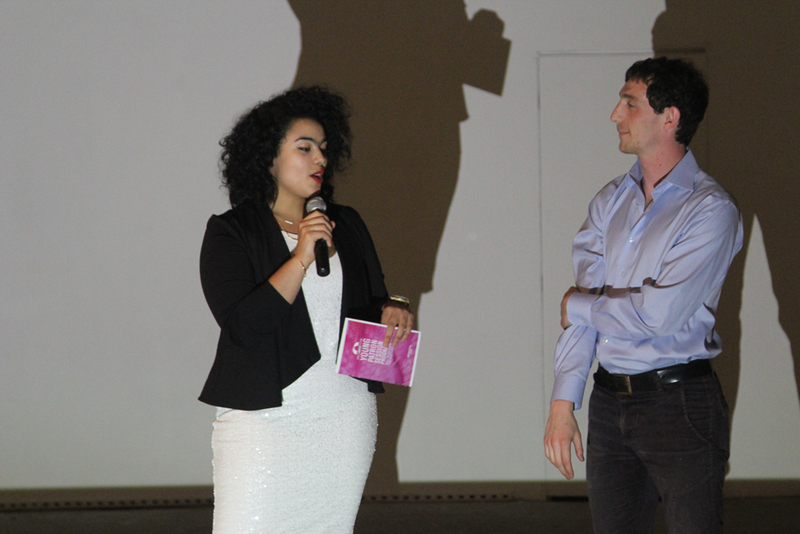 On Thursday, March 19th we premiered at Whitebox Art Center in the Bowery. We hope to encourage the continued development of multidisciplinary works as well as an increased dialogue between all genres of art. DMM: You presented a diverse repertoire, including four new pieces. What did you present and what were some of your favorites? In addition to four new works, Cesar Brodermann performed an improvisation solo and we presented two returning favorites – an excerpt from “REVERIE” as well as “All For The Life,” which was choreographed by founding member Jesse Obremski. I was mostly excited about the company’s premiere of “RIVER RIVER,” which was performed by Zui Gomez and Mariusz Kujawski. The piece is set to a homage suite by one of my favorite composers – Peyman Yazdanian and is the depiction of tear-like streams, overflowing. The intimate creation reveals dark ideas of love, loss, guilt and the fluidity of life. I was also incredibly satisfied with the premiere of “Two Minutes in a Dream,” which is a male duet performed by Jerard Palazo and Po-Lin Tung. The dancers performed with engaged sensitivity and movement remarked images of the setting sun and boyhood friendship. The work is simple and delicate, thus very complicated for two young males to attack with defined precision. I was thoroughly moved by their work. DMM: What can we look forward to next? 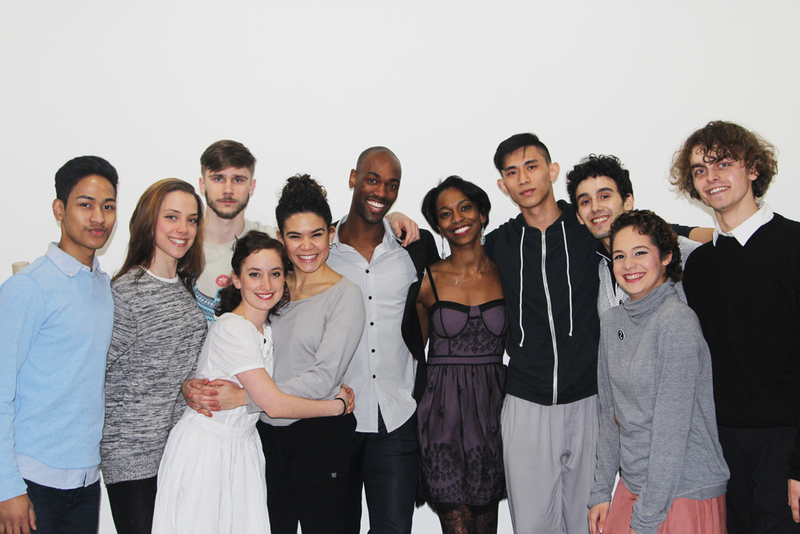 On April 18, 2015 ZEST will make a debut at Harlem Stage’s historic Gatehouse Theater as part of E-Moves 16 – The Takeover. Currently, we are developing three new works which will premiere next month along with the re-staging of one of my first creations. “Manyetta” is a harmonious male solo that reflects man’s changing image of self. It is set to music by Alex Heffes and Kawesa. Harlem Stage’s Gatehouse theater is a massive setting. I am eager to adapt and present our material at this exciting production featuring many emerging choreographers and their site-specific creations. I’m looking forward to sharing more in the months to come. DMM: Thanks for your time.